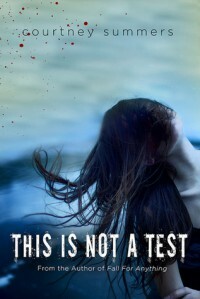 This is not a Test was a difficult book to read. It reveals information slowly and not clearly so you have to put together a lot of the background yourself. Which frankly I was not really in the mood for. The book focuses on Sloane and mostly takes place about a week after the zombie apocalypse. She is barricaded into a school with five other teenagers as they try to survive and figure out what to do. It was a bit too angsty for my tastes, but then again I'm not a teenager in a zombie apocalypse. Since I initially added this book, it looks like a sequel was announced for next month. I don't think I'll be reading it, but I may check out the reviews at one point.